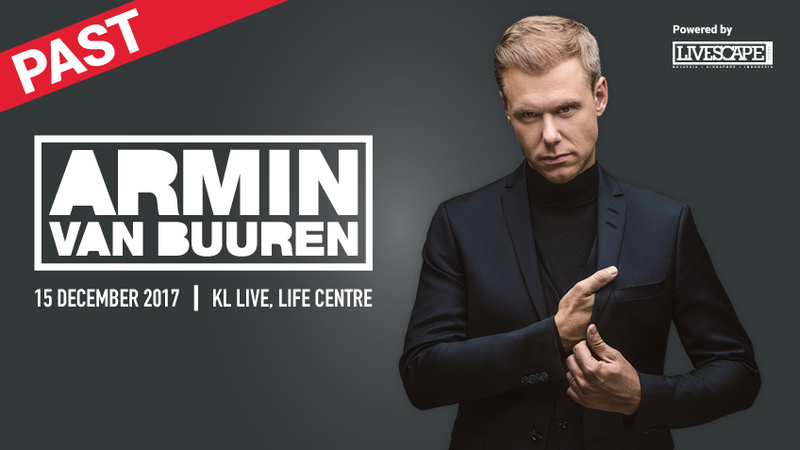 Armin Van Buuren, one of the most recognised DJs and producers and DJ Mag’s #3 Top DJ in the world is set to perform at the iconic KL Live this 15th December. Organised by the Livescape Group and Electronic Qash, the Armin Van Buuren Live In Kuala Lumpur show is co-presented by DCODE and supported by Mudah.my (Official Ticketing Platform), GoCar (Official Car Sharing), Mayflower (Official Travel Portal), Smirnoff Ice (Official Pre-Mixed Drinks), and ALIFE (Arts, Live Festival and Events Association). This intimate show will be a part of the Netherlands-born megastar’s 2017 global tour that will also feature shows in India, USA, and United Kingdom. The live show will take place at the revamped KL LIVE, Kuala Lumpur’s very own entertainment and live events hub known for hosting more than 100 internationally recognised musicians and bands including DJ Snake, Bring Me The Horizon, Skrillex, and Sum 41. The Livescape Group is a youth-centric music and creative events group of companies, specialising in conceptualising and executing formidable creative and activation platforms for some of the best known brands on the planet. We don’t do the ordinary and dare to try new ideas. This belief has driven us to be one of the key players in the Malaysian and Southeast Asian live events market. Dress code for TWP (The White Party) Presents Marshmello is strictly all WHITE. Those that do not follow the dress code will be refused entry.